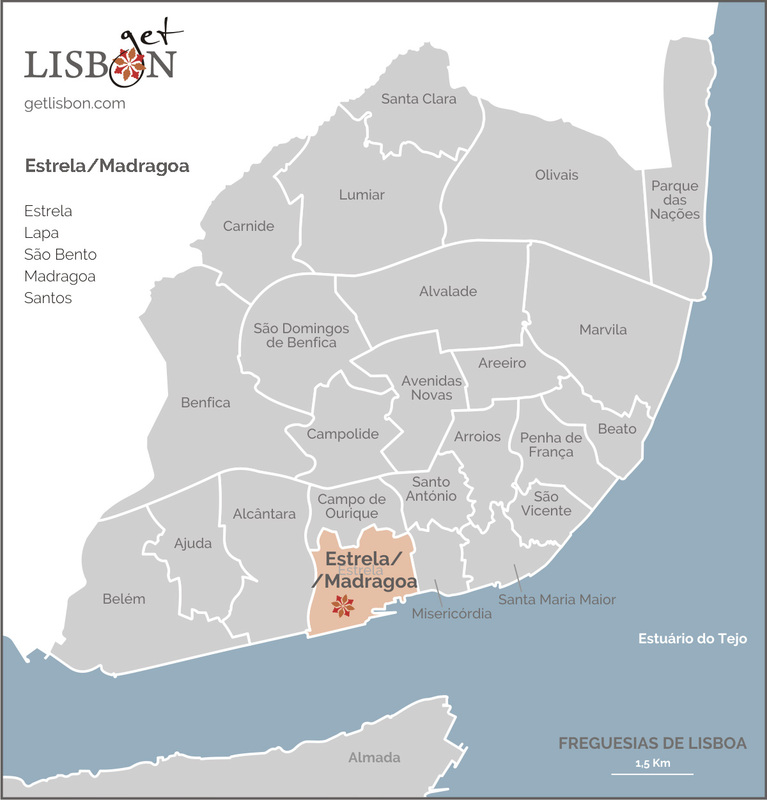 In this area that we designated as Estrela/Madragoa, we enclosed zones of different characteristics, but that are harmoniously related. Starting from the highest point of our route, Estrela, we walk down the slope towards the river, going through the areas of Lapa, São Bento, Madragoa and Santos. The zone of Estrela stands out for the Basilica’s dome and for the “green lung” constituted by the Guerra Junqueiro Garden known as the Estrela Garden. Lapa, in turn, consists of two distinct areas, one more popular that results from the allotment of the old Convent of Trinas do Mocambo and further up, the area where the nobles took refuge and built their palaces after the earthquake of 1755. The zone of São Bento, that was once peripheral, is today in the city centre, and constitutes an attractive residential area. Here existed isolated convents, one of which is today the institution where national affairs are debated, the Parliament. Right next to São Bento, we can wander around Madragoa, a popular neighbourhood once bathed by the river, territory of fishermen and varinas (women fish sellers), a theme of many traditional fado poems. Unlike Alfama, it has parallel and perpendicular streets that refer us to an organised space. 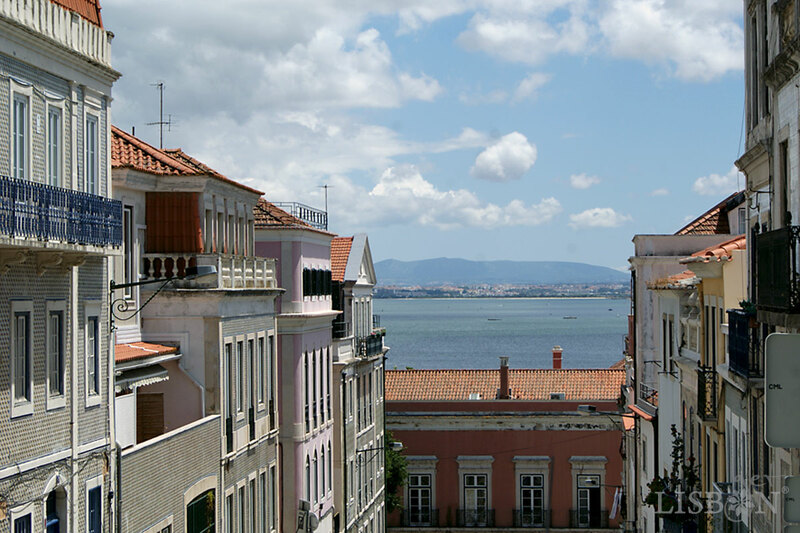 We suggest you read our article Castelo, Alfama and Mouraria to know more about old neighbourhoods of Lisbon. Along the river, we have Santos, the so-called design district with its unique and lively nightlife. It is an area that results from the lands conquered to the Tagus River during the landfill construction in the 20th century. The whole Estrela/Madragoa area has a lot to explore, and those who don’t visit it, risk not getting to know some of the most beautiful streets, enchanting river views and unique buildings of Lisbon.